Torrey Pines Dermatology is giving Loveleigh Beauty followers 20% off! Um, please and thank you! How loveleigh is that? So, what are you waiting for? Call now and take the first step toward achieving your “best skin”! Just mention the Loveleigh Beauty blog and that’s it. Easy peasy! Also, a lot of people asked me about what specific products to use and when to use them. 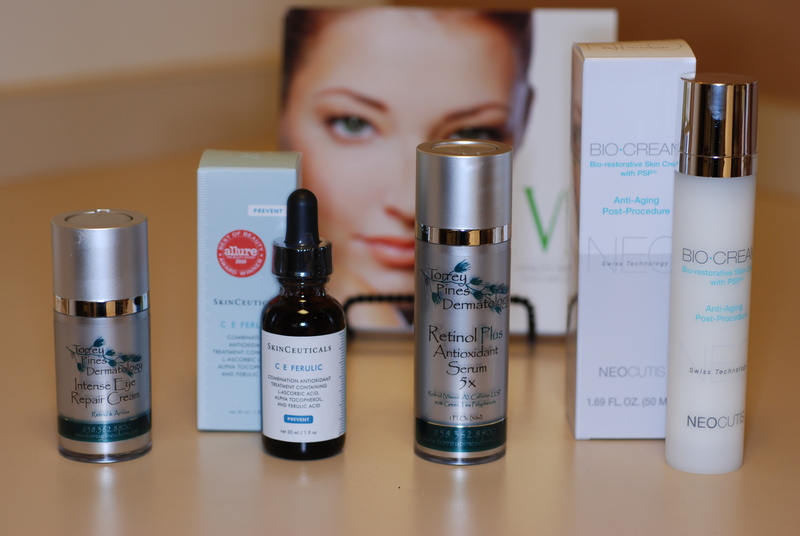 We all know that Vit C is vital for your skin in the AM; and retinol, is essential in the PM. Of course, don’t forget about a quality face wash, and the Elta Md Sunscreen paired with a great moisturizer in between. Sooo, I decided to compile a list of highly recommended products from Dermatologists, skin care experts, and consumers (like me). + neutralizing free radicals, boosting collagen synthesis, & providing unmatched antioxidant protection. +More protection means more youthful looking skin and better defense against environmental aging. Skinceuticals C E Ferluric is an Allure Best in Beauty winner! *Torrey Pines Dermatology Retinol PLUS Antioxidant Serum 5X: assists in the achievement of smoother, firmer and more evenly toned skin. *Green Tea Polyphenols & Caffeine: offers antioxidant protection, calms the skin, and reduces redness. *Hyaluronic Acid: hydrates the skin. *Neocutis BioCream: the most complete protein blend of Human Growth Factors, Cytokines, and Interleukins available to help improve appearance of aged skin and soothe the skin. +Helps reduce appearance of fine lines and wrinkles. +Improves skin texture and tone for renewed radiance. You can reach Janeé at janee@torreypinesderm.com, with any questions, concerns, or to make an appointment. She will change your life, she did mine. Please be sure to share with me your fav skincare products. JM: My name is Janeé Joyner Miranda and I’ve been an Esthetician for 12 years. I have experience in all avenues of the industry; from spa, owning my own esthetic business, and now working in a Dermatologist office as a Medical Esthetician. My extensive training and hands on experience has helped me to really understand skin and help my patients achieve their “best skin”. I am truly fortunate to do something every day that I not only LOVE, but am so passionate about. Through my relationship with my patients over the years, I have come to realize that skin is not just a physical thing, it is also emotional. The best part of my job is watching someone transform their skin and seeing the confidence and happiness being brought back to them when they are given the results they hope for. People always ask: “What’s the first thing you notice about someone?” Over and over, you hear the same thing: teeth, eyes, smile, etc. But in actuality, the first “handshake” when you meet someone is their skin. I am so excited to be a part of making someone feel good about that first impression! JM: The product I will never go a day without is sunscreen. Dermatologists recognize that the most potent product that can prevent, and reverse the signs of aging, is sunscreen. Many people think of sunscreen as thick and greasy, with the potential of breaking their skin out. 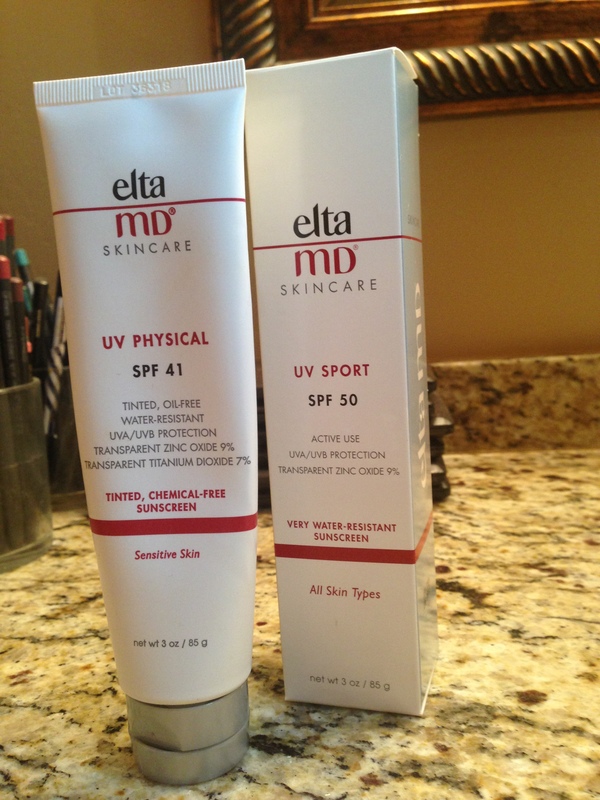 My favorite sunscreen is Elta MD which can only be found in a doctor’s office. Elta MD is pharmaceutical grade, noncomedogenic, contains microfine transparent zinc oxide, sensitivity-free, fragrance-free and paraben-free. UV rays are part of the invisible energy that comes from the sun. UVA (or what I call aging rays) account for 95% of our sun exposure. They cause skin to age and contribute to skin cancer. They penetrate deeply into the skin layers, damaging collagen and cells; which lead to wrinkling, hyper-pigmentation, and loss of elasticity. UVB, or burning rays, mostly affect the outer layer of the skin and cause sunburns and tanning that increase the risk of skin cancer and other disorders. A big misconception women have about sunscreen is that the amount of sunscreen in their makeup is enough protection. Makeup wears off throughout the day and Dermatologists recommend that sunscreen be applied as a separate layer from other products to achieve maximum protection. Sunscreen is the best anti-aging product you can buy and is worth every penny. JM: There are 2 ingredients in skincare that I swear by: Vitamin C in the a.m. and Retinol in the p.m.
Vitamin C: an antioxidant that slows down the damage free radicals have on our skin. Free radicals are unstable molecules that damage collagen and cause skin dryness, fine lines and wrinkles. Vitamin C can neutralize free radicals which not only will reverse damage but also prevent future skin damage. It is the antioxidant that helps maintain healthy skin texture and elasticity. Retinol: enhances the cellular turnover rate of the skin which gives skin a healthy and radiant glow. Retinol, a form of Vitamin A, has many benefits such as removing superficial skin pigmentation, fights acne and blemishes, and anti-aging properties. It aids in the formation of collagen to plump the skin and reduce the appearance of fine lines and wrinkles. Many over-the-counter products include Retinol and Vitamin C because there is such a high demand for these ingredients with all the education out on the positive benefits these two can have on your skin. The consumer must beware that not all dosages of these ingredients can be high enough for above mentioned results. It is recommended to purchase products from your dermatologist’s office to ensure high quality and concentration of Vitamin C and Retinol. The key to beautiful skin is achieving balanced skin. + Cleanser: Use it twice when wearing makeup. 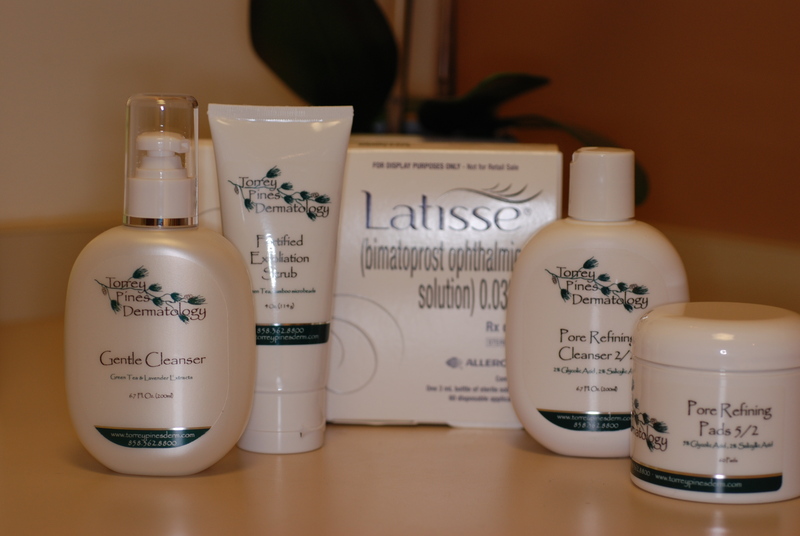 The first cleanse will break down the makeup, and the second will clean naked skin. + Active toner: I recommend a toner in liquid or saturated pad form with Salicylic and Glycolic acid. 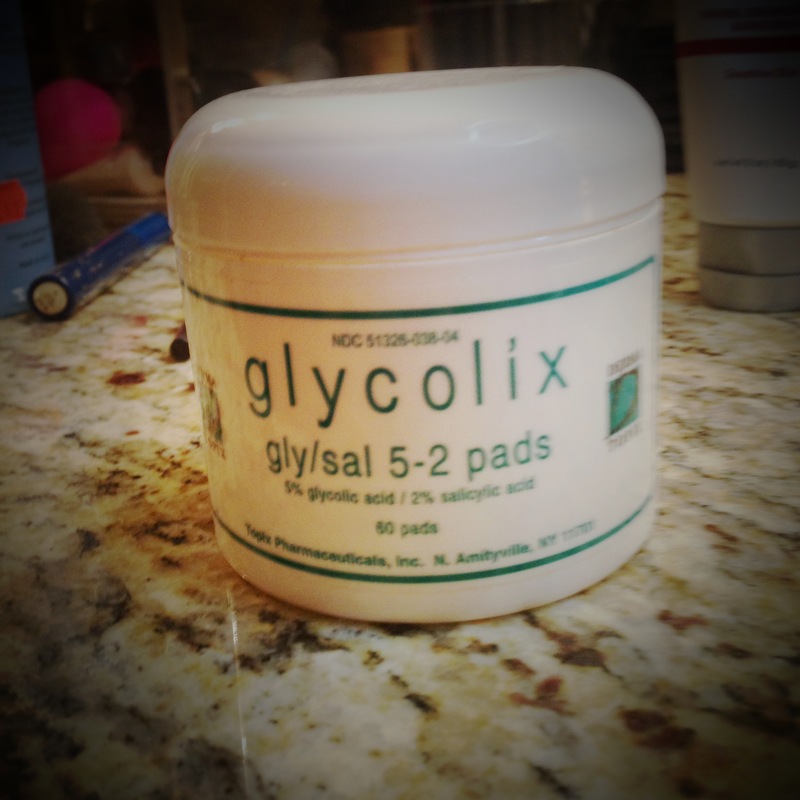 If you have sensitive skin a 2% glycolic/2% salicylic combination is enough, but if your skin is more tolerant then a 5% glycolic/2% salicylic is perfect. This will keep the pores clean and help reduce congestion and blackheads. 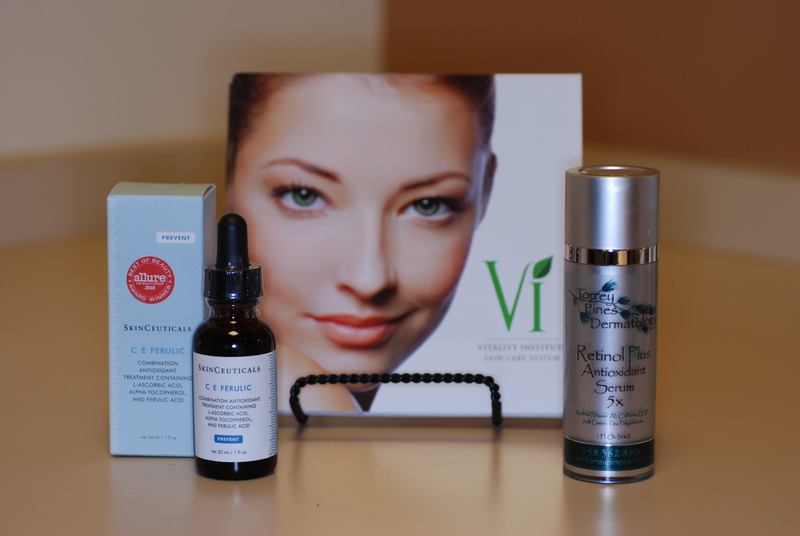 + Antioxidants: to protect, nourish and repair, such as: Vitamin C and Retinol. + Moisturizer: is key to beautiful skin. When describing the balance of skin there are 3 types: normal, oil dry, and water dry. “Oil dry” skin is more dry and taut. A moisturizer that nourishes, maintains moisture balance, brightens, and restores a youthful glow, is vital to achieve optimal results. For the lucky few that can describe their skin as normal, should use a moisturizer according to weather and comfort. If it is hot and humid then a sheer, oil-free moisturizer is perfect. If it is cold and dry, then one that is more emollient will do the trick. Minimal Sun Exposure. This will lessen sun damage such as hyper-pigmentation, fine lines, wrinkles, and dehydration. Drink lots of water and keep alcohol and caffeine consumption to a minimum. Alcohol and caffeine will dehydrate the skin; which will make the skin look dry and increase fine lines. Invest in good quality skin care products that include Vitamin C, Retinol, and Alpha Hydroxy Acids. This will keep your skin looking fresh and flawless, as well as, prevent signs of aging. Properly wash your face to ensure the removal of all makeup and impurities. When you wear makeup, either start off with a makeup wipe and then cleanser, or double cleanse to break down the makeup. Not thoroughly cleaning the skin will lead to dehydration and clogged pores. Get regular treatments from your Esthetician. This will deep clean and exfoliate the skin. Great skin is a combination of good skincare and professional treatments. I recently had a Silk Peel treatment from Janee and my skin has never felt better! It’s a simple 20 minute procedure that delivers immediate results. A silk peel is a non-invasive, dermatological procedure which exfoliates and stimulates skin cell growth. It is similar to a microdermabrasion but better for your skin and more precise. A silk peel is used for hydrating skin, treating acne, and lightening skin. Like Janee mentioned, skin must be maintained with hydration, moisturizers and sunscreens, to achieve the benefits of a silk peel. If you’re in the San Diego area and want a consult with Janee, she can be found at Torrey Pines Dermatology, in La Jolla, 858-362-8800. She offers services in all things skin. Call her now and thank me later.